I'm actually amazed that I finished anything at all this week, since Enna is teething and Nora is potty training. 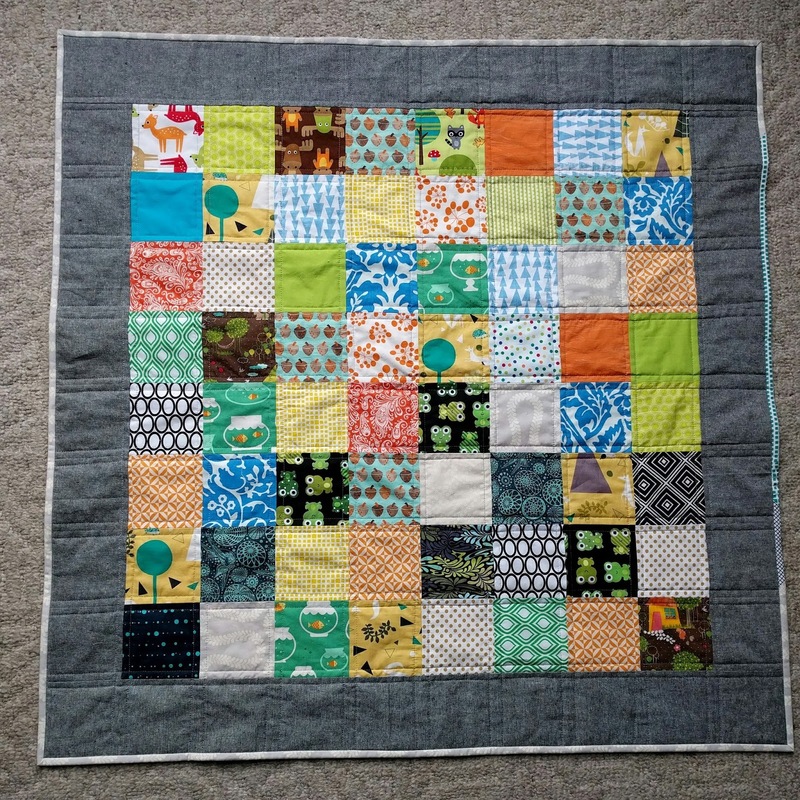 This is my last baby quilt for the year! I decided to just do a simple patchwork with some of my favorite fabrics from previous quilts. It was fun going through and seeing and using old fabrics, it was like seeing old friends again. Kept a pretty gender neutral color scheme. The simple patchwork is still my favorite. And I kept the quilting nice and simple and I love the effect. This will be a perfect play mat. I love to discover scraps or remnants of loved fabrics too! You've done a nice, quick project, I am sure someone will love it. Thank you! I see many more patchwork quilts in the future with my scrap bin. I love this patchwork, the fabrics go so well together, very nice. Thanks, I love a good scrappy patchwork quilt.